Clean simple lines in a selection of desired fabric or leather. Plain back seating can be used in any venue, it's essentially a blank canvas that you can cover as you see fit. 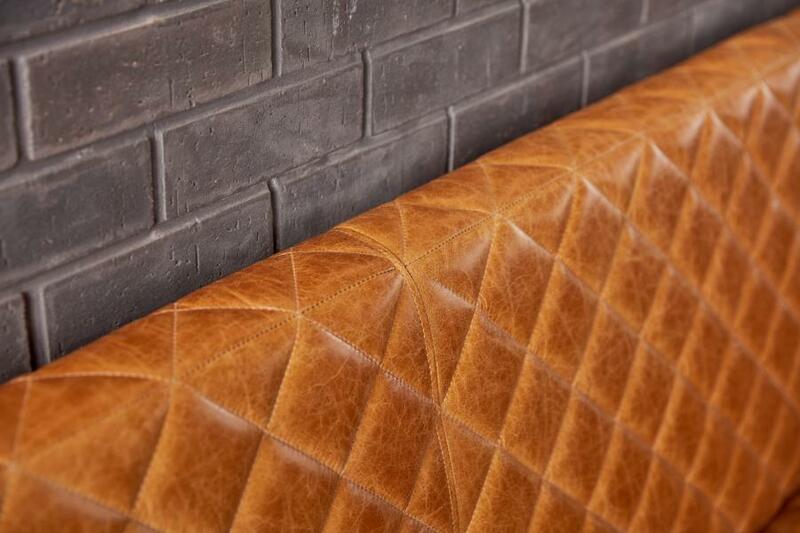 If you're putting this type of seating in a rustic environment then a distressed leather will produce the desired effect if you're putting this in a spa waiting area then a crisp white fabric compliments this setting. The design lends itself to easy maintenance. All the frame work is programmed by our Joinery Supervisor Stewart and sent to our CNC machine to be cut out. Our joinery department build the srobust frame. Our preparation team applies foam to your frame ensuring it meets the appropriate level of comfort. The upholstery department then applies your chosen fabric or leather, it is carefully cut out in order for our skilled seamstress team to expertly sew all the panels together. Although plain back is often left as it says in the title, plain, many people choose to have a stitch detail or a different colour stitch to the fabric or leather to personalise its appearance.